Naturally, with our site and products being built for WordPress, we wanted to share a plugin that makes integrating content upgrades into your music WordPress site a breeze. 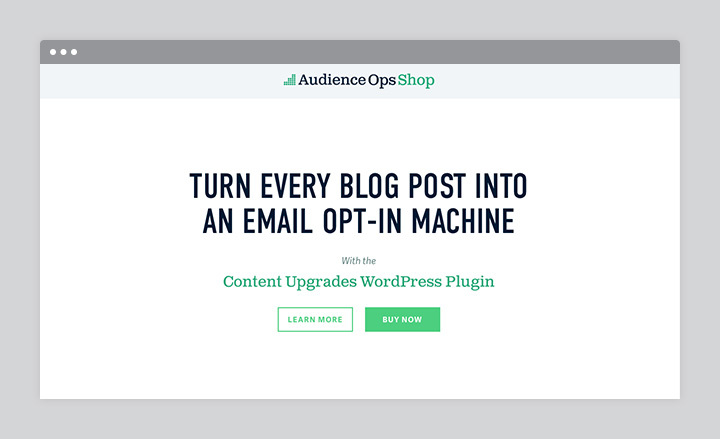 The Content Upgrades WordPress plugin by Audience Ops is relatively new and integrates with Drip and MailChimp email marketing services out of the box. Watch the video below to get better understanding of how the Content Upgrades WordPress plugin works. 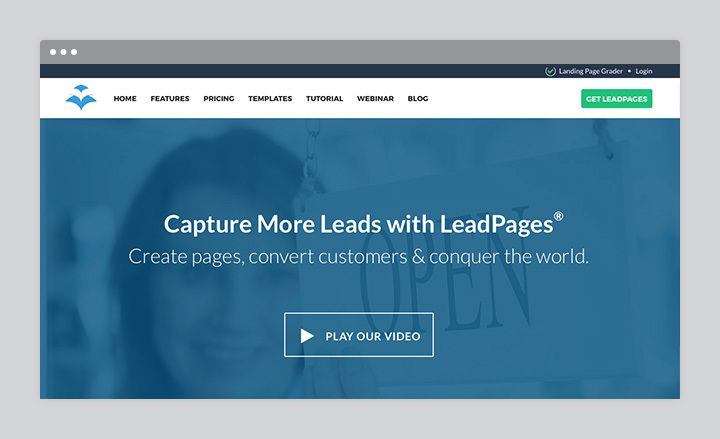 The primary function of LeadPages is to create and host your landing pages. This makes setup pretty easy, however, it is a bit more of a financial investment. The upside to the investment is they provide all the tools you’ll need to set up, create and manage your assets and emails. If you happen to have a WordPress site, LeadPages also has a plugin you can use to redirect to a landing page on your own domain. MailChimp is a popular email marketing service with a free plan for those just starting out. 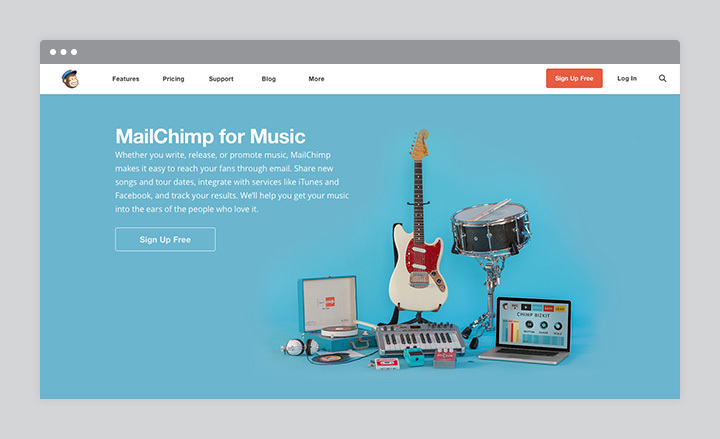 MailChimp makes it easy to create new forms, manage subscribers, and send autoresponders. While autoresponders are a paid feature and would work for delivering a number of content upgrades, they do have some limitations. Now that you have a way to integrate content upgrades, it’s time to start creating content and offering upgrades that users will want. Below we’ve provided three different content upgrade ideas and tips to help you get started. Try experimenting with the different ideas and see which ones work best for you and your fans. In many ways, musicians are already providing a form of content upgrade by offering a free downloadable audio file on their website. In most cases, a user clicks on a link and a file downloads to their computer. Mission complete, end of story. Using content upgrades, the same value can be given to the user while you also benefit from the interaction by collecting their email address in return. Now you can continue communication in the future and build upon that relationship using email. For example, let’s say a user is visiting your homepage where you’re promoting an upcoming record. You might think about providing a content upgrade where the user can download a track from the record before it’s released. In this case, when the user clicks the download button, they’ll be asked to insert their email address. Once submitted, a download link and personalized message will be sent to the subscribers inbox. In this example, the upgrade being offered is specific to the record content being promoted. You now know the user has interest in your music and you have a method of contacting them in the future when the record is released. You can use the same idea for other types of downloadable content, too. For example, maybe you could offer the record artwork or CD insert as an upgrade on single record pages. Or, perhaps your drummer has designed some stellar images to use as desktop wallpaper — I’d download that! Exclusivity — as in an exclusive invitation or exclusive content — is a great marketing tool to give value to loyal fans, or in this case subscribers. Things that are exclusive and/or in short supply tend to attract people’s attention. Because of this, the perceived value increases, and thus, creates a unique opportunity to capture a user’s interest… and email address. Here are two examples of how exclusivity might work well as a content upgrade for a band or musician. YouTube has really stepped up their game when it comes to supporting music artists. Most folks in the music scene are already taking advantage of the tools YouTube provides by posting live music recordings of their songs for their fans to absorb. Much like the audio example mentioned before, an artist can embed or link to a video on their website. Anyone can click a button and consume the desired content for free. That’s it, that’s all. Nothing gained, nothing lost. 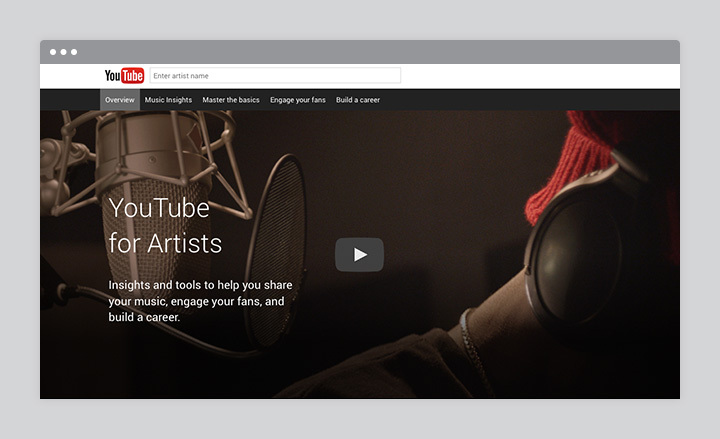 While marketing music on YouTube in a public way like this is a great promotional tool, lets take a look at other non-public settings offered by YouTube and how you can use them to your advantage. YouTube allows you to change the privacy settings for each of your videos. Changing the privacy setting for your video from “Public” to “Unlisted” is a great way to create a sense of exclusivity. When set as unlisted, anyone with a special link can watch the video, however, it is not discoverable in search results, suggested videos, or a subscriber’s feed. Although unlisted videos on YouTube are not 100% exclusive, they do offer enough exclusivity to work well within the content upgrades strategy. Let’s look at an example. Imagine you put together a short behind the scenes video while recording in the studio. A content upgrade could be offered similar to the downloadable media examples above. 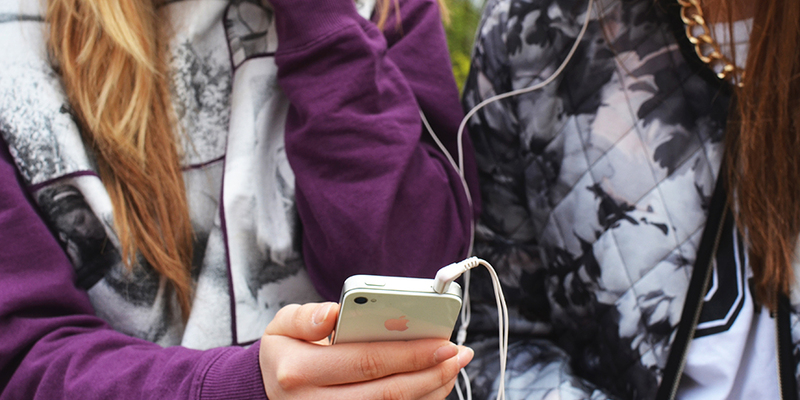 Instead of providing a download link or publicly displaying the video, a link to an unlisted video could be given. I don’t know about you, but I’d gladly give up my email address to get a taste of what is to come from my favorite bands and musicians. On a similar note, Vimeo and other video service providers typically offer various privacy settings as well. With a little creative thinking, exclusive videos as content upgrades are a great way to encourage fans to subscribe to your email list. Another method of providing exclusive content to subscribers would be through your own website. If your site uses WordPress, you can easily create a private page with a password to access the content. Using the content upgrades method, you can provide subscribers a link to the private page along with the password to view it. There are also a number of plugins available for WordPress, like Restrict Content Pro, that can be used to restrict content in different ways. The beautiful part of exclusive content is the ability to post just about anything; music playlists, videos, photo galleries, an upcoming gigs list for the new year, or even post lyrics to a new song. Be creative and add value. Everyone loves a good deal and for good reason. Thijs de Valk, a behavioral scientist, provides some insider information on the psychology of discounts and what kind of discounts work best for most people. His article has some great ideas on different discounts you could offer and the type of wording to use. Providing discount, download, or access codes as part of your content upgrades strategy might be worth experimenting with. Consider using this type of strategy when marketing your latest record, promoting an upcoming show, or adding exclusive content. What makes integrating content upgrades into your music marketing plan so attractive is that it is relatively inexpensive with little to no maintenance after setup. Fans end up subscribing to your email list because of their interest in the content being viewed and the value offered in the upgrade. What if you could take things a step further and add more value without any additional effort from you or your fans? The end goal of what we’re discussing in this article is to get users to subscribe to your email list. After capturing a users email address, the content upgrades strategy no longer serves a great purpose between you and the visitor. However, the other upgrades offered throughout your site are still valuable. With that in mind, why not offer all content upgrades on one page of your site for subscribers to access? After a user subscribes, you could send the upgrade along with a link to a page that includes all the other upgrades. This page might contain downloadable content, exclusive content, and promotional codes. The page could be optimized to market a specific product, an upcoming show, or simply increase conversions for any goals you have set as part of your marketing strategy. Write interesting headlines that stand on their own. Make sure your upgrade callouts stand out from the content. Have big noticeable action buttons. Add upgrades in multiple spots. Provide valuable information and content. The more valuable the upgrade, the better. How Will You Use Content Upgrades? Hopefully by now you have a better understanding of content upgrades and how they are used to provide value to you and your fans. If you’ve already adopted the content upgrades strategy, we’d love to hear how it’s been going for you and in what ways it’s been working. If you have other ideas of how this strategy can be used by bands or musicians, we’d love to hear those too! Feel free to leave a comment below. Interesting blog post Luke. Quite comprehensive. List building is the most significant step musicians, or any other professional, could take to build an audience. And Content Upgrades is the new hot trend that’s helping people across industries. The idea of offering something valuable to the reader, involving a double optin process just clicks, I guess. Thanks, Syed! The bloggers using content upgrades mentioned mentioned in your article is interesting. I’d love to know what if there are any musicians using this strategy and how. It may take a bit of introduction and understanding of online marketing and the importance of list building before musicians can find ways to most effectively use Content Upgrades and benefit from their use. Content upgrade is one list building technique that lot’s of internet marketers and bloggers have found great success with. In the past when we did client work, we’ve always educated them on the use of content upgrade to boost their email list growth which resulted in the birth of our new MailOptin plugin. And it does content upgrade very well. Thanks Luke for writing this. It’s an evergreen piece.